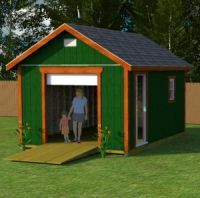 You will find that my shed plans are understandable and easy to use and follow whether you are a novice or experienced builder. They all come with detailed blueprints, comprehensive building guide, materials list, free cupola plans, and email support. 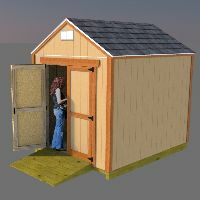 If you want a shed with the most storage space for the foot print taken up, then you'll want to build one of these. They have the most storage space in the loft. 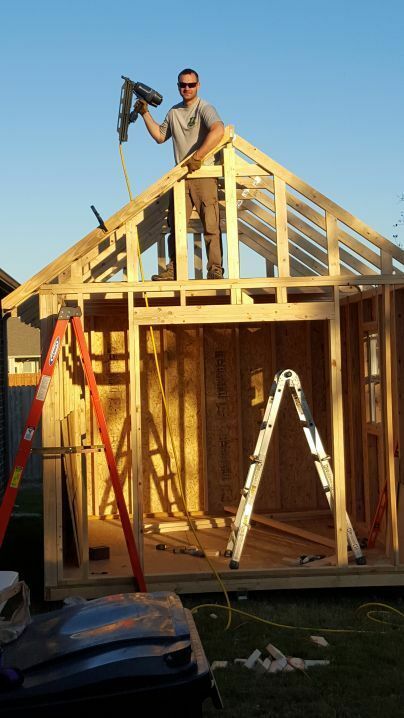 These plans are for gable style roofs and they are built using either trusses you build or are built with rafters and a ridge board. 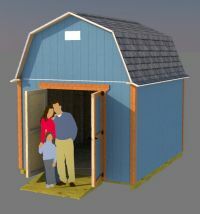 These sheds are fairly simple to build and have lofts. 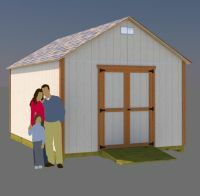 These plans are for saltbox roof style sheds. 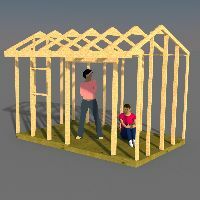 They are built with trusses that you build. 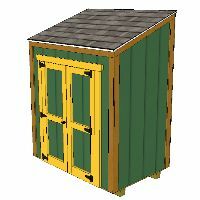 These sheds are perfect for general storage, garden sheds, tool sheds, potting sheds, playhouses and more. 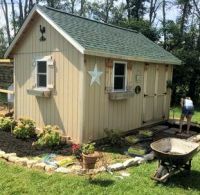 This shed in my opinion, if you are wanting to build a shed for gardening, this is the one. 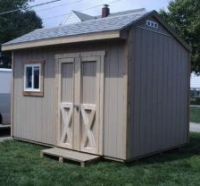 It has lots of charm and character with it's desirable design. 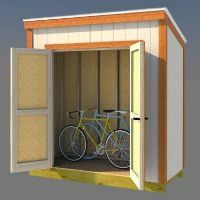 This is the shed you'll want to build to store your bikes in, garden tools, or just needing some extra space to get some stuff out of your garage. 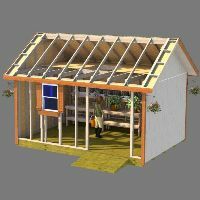 They are easy to build with their simple single slope roof, which is commonly referred to as a 'shed roof'. 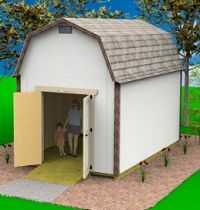 Here's a simple and easy to build firewood storage shed. 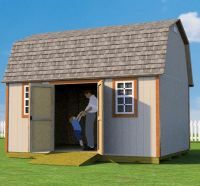 You can build 2 of them and put them side to side for more storage! 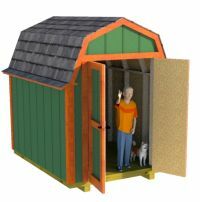 The sides are open for better ventilation so your wood won't get all rotten and musty smelling! 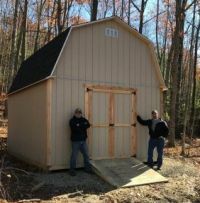 What's It Going To Cost To Build Your Shed? 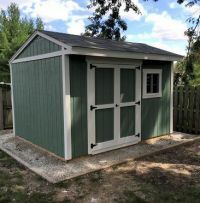 The best way to find out what it's going to cost you to build your shed is to take the materials list for the shed you want to build to your lumber supply store. You can either have an employee there look up the prices for you based on the list, or you can look them up yourself. You can even go online and look up prices! For example, if you visit lowes.com, they have a search box where you can enter in the item and find out each price! This will save you some time. 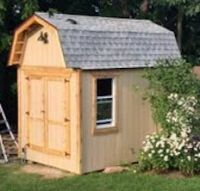 The only drawback I see to this is that I find it really beneficial to go to these big box lumber stores and see exactly what I want. For example, the LP Smartside siding panels I recommend to use: some stores carry a cheap variation of these that have a brown color to them on the inside of the panel, and this is not what you want! The have the consistency of a 'fibre' panel that will crack easy. 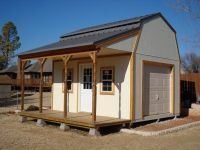 The true LP siding panels are pre-primed on the outside surface and have a natural osb color on the inside surface. 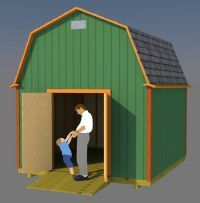 When you purchase one of my shed plans, you will get a building guide that is specifically taylored to the shed you are building. 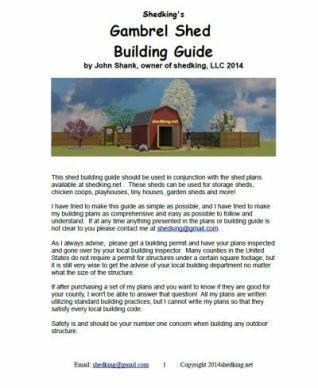 For example, if you purchase a barn shed plan, you're going to receive a copy of my Gambrel Shed Building Guide shown to the right. 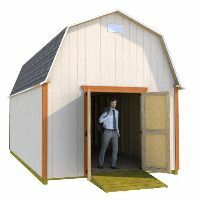 Like wise, for gable sheds - my gable building guide, and for Lean-to's - my lean to shed building guide, and saltbox sheds - my saltbox building guide. 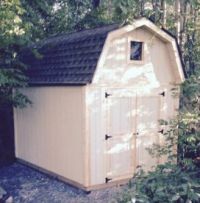 It gives me a great sense of satisfaction and pride when customers send me pictures of their sheds. 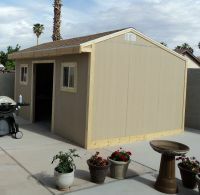 I started Shedking way back in 2003 and since then I have received 100's of photos from happy customers. 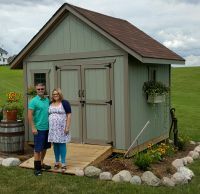 If you take the time to send me pictures of your awesome shed, and they have you and/or helpers in them, and you give me permission to post them on my website and social media sites like facebook and pinterest, I may reward you financially with a gift! 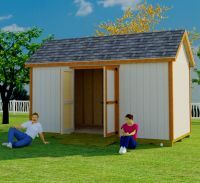 Also include some detailed information like why you built your shed, what you thought of the plans, etc! 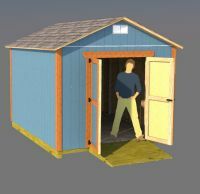 I use a program called sketchup pro. There is a free version of the program which you can find here. If you are interested in getting the sketchup file for any of my plans just contact me. 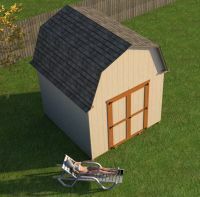 I have 3D shed models for all most all of these shed plans. 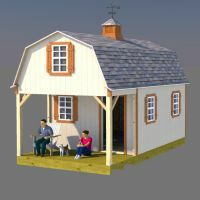 Use these models to walk inside or around your shed while you are building to see all the details in virtual reality to make your shed building project easier. 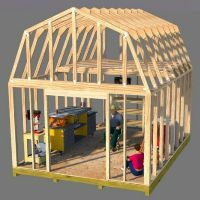 You can even use your smartphone, laptop, virtual reality goggles with the augmented reality feature to see what your shed will look like in your back yard. 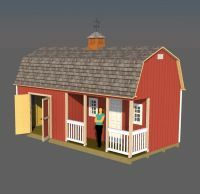 Check out my 3D shed models here.